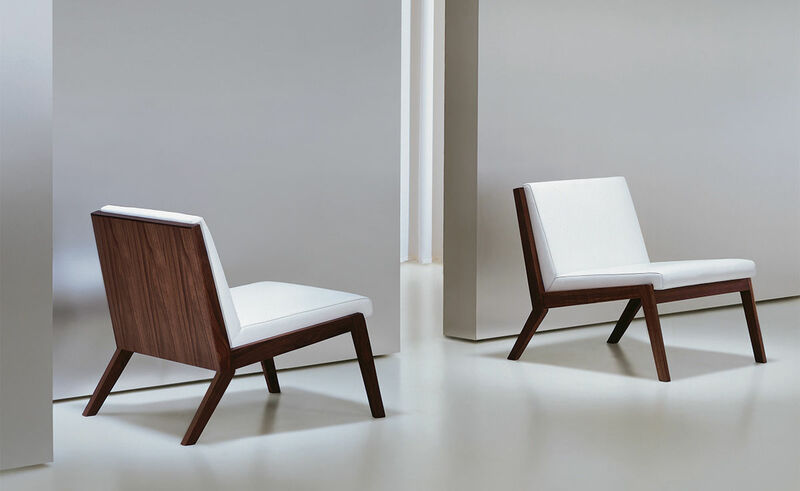 The crisp lines and slight angle of the Edge Lounge chair produce a modern seat capable of being used in a variety of settings. 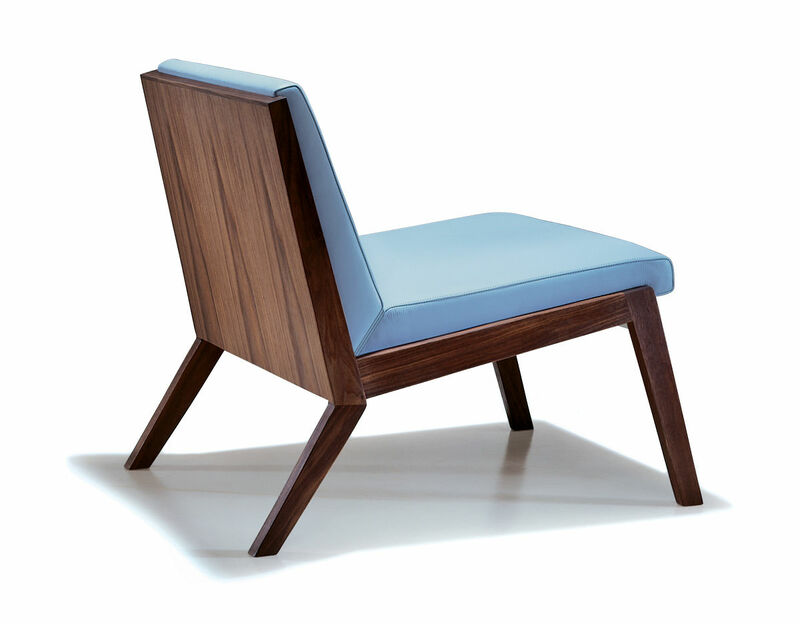 The walnut frame is highlighted and softened by the upholstered seat and back. 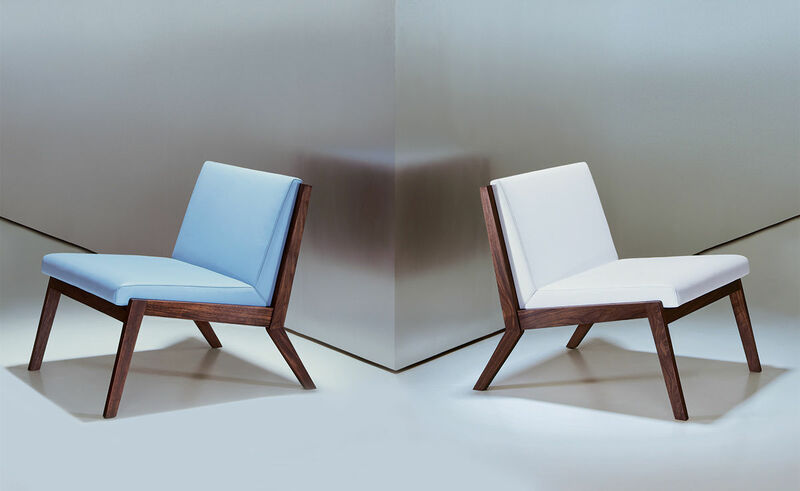 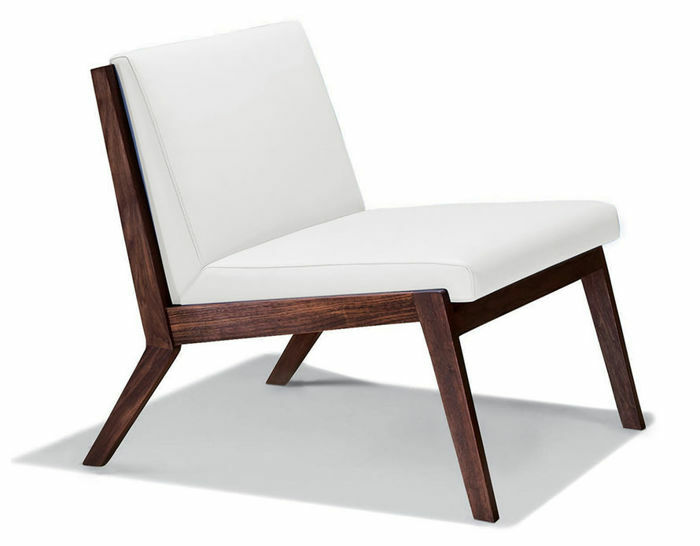 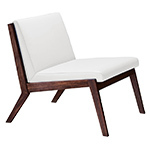 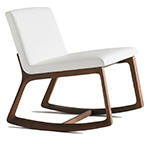 The Edge Lounge chair features a walnut frame with veneered back. 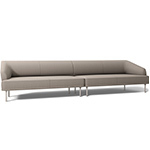 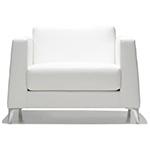 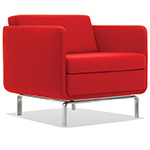 The seat and back can be upholstered in a variety of fabrics or leathers. 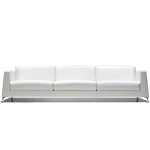 $2,036.00 + free shipping in the continental U.S.